Dr. Bollon’s approach to implant restorations is highly detail-driven and centered on patient education. In order to optimize treatment and longevity, Dr. Bollon uses a comprehensive planning process which involves the patient at every step. CT scans are taken and reviewed with the patient prior to treatment. Depending on the available bone surface, grafting techniques may be recommended. Dr. Bollon may also recommend the use of a wider, shorter implant for better integration and delivery to support long-term results. . 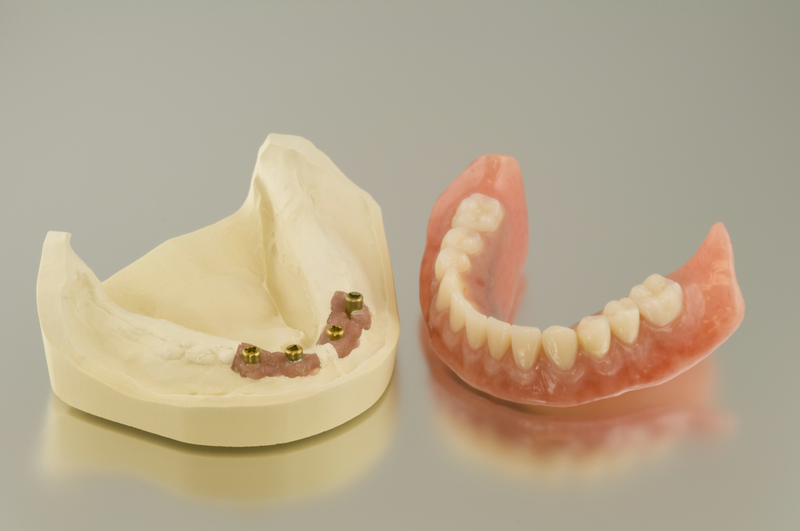 Many patients find implants to be an ideal solution for ill-fitting lower dentures. For these patients, dental implants offer a solution known as all-on-4 or all-on-2 that utilizes 4 or 2 implants to secure a full and stable lower denture that fits comfortably. Dr. Bollon uses implants manufactured by industry leader and innovator, Nobel Biocare. Patients searching for a Jericho Implant Dentist will find in Dr. Bollon’s practice a very broad array of implant-based treatment options. Depending on the patient’s physiology, Dr. Bollon may use various hybridizations of implant secured dentures, crowns or bridges. Dr. Bollon is also able to complete tooth extractions prior to implant placement as necessary. The flexibility and customizable nature of Dr. Bollon’s implant-based restorations ensure life-long, high-quality results. Dental implants are an investment into your long-term oral health. The cost of implants varies depending on patient’s situation, but the wealth of long-term oral health improvements make dental implants an affordable treatment for missing teeth. The benefits of implant-based restorations include a superior level of stability, function and aesthetic appeal. Implants eliminate all risk of slippage and provide optimized comfort while chewing and speaking. The implant’s integration with the jaw bone (emulating a natural root-structure) stimulates healthy, rejuvenating cell growth to support long-term integrity of the jaw and overall facial structure. Patients enjoy fewer restrictions on their diets and a stronger bite. Moreover, unlike traditional dentures which require replacement every five to ten years or so, implants are made to last forever, making them a more cost-effective restoration in the long-term. To set up an appointment with Dr. Bollon, please call our office at (516) 822-2131. You may also use our website to request an appointment time.